William "Bill" Charles Salczynski, a resident of Commerce, died peacefully surrounded by his family on December 1, 2018. He was 75 years old. William was born in Detroit on August 5, 1943 to William and Rosalee Salczynski and was a 1961 graduate of Catholic Central High School where he played football, hockey, and baseball while maintaining an “A” average throughout all four years. Following high school, he earned a Bachelor Degree in business from University of Michigan and later earned his Master’s Degree in business from Wayne State University. He met his beloved wife, Patricia McMahon, and they were married in 1966 and together raised three daughters, Lori, Lisa and Linda. He was drafted into the United States Army in 1968 and was sent to Vietnam where he was stationed for ten months and earned the rank of SP5 (T). William retired from Ford Motor Company in 1995 after thirty years of service in the purchasing department. 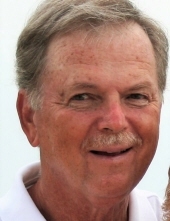 William and Pat enjoyed many years of playing golf together, boating, skiing and traveling with family and friends. They were known to many as “Mr. and Mrs. Ski”. In addition to his beloved wife, Patricia, William is survived by three beautiful daughters and their wonderful husbands, Lori (Dwayne) Price, Lisa (Jay) Luchies and Linda (Tom) Horton; six amazing grandchildren, Madison Price (14), Mason Price (12), Lauren Luchies (10), Gavin Luchies (8), Samantha Horton (8) and Brooke Horton (6); two dear brothers and sister-in-laws, Jim (Linda West) Salczynski and Gerry (Mary Murphy) Salczynski. Many extended family members and dear friends join together in mourning the loss of William while thanking God for his life among them. Visitation will be held at Lynch & Sons Funeral Home, 404 E. Liberty St., Milford on Thursday, December 6, 2018 from 4-8 PM. A Time of Sharing will be held at 7:15 PM. A Funeral Mass will be held from St. Mary’s Catholic Church, 1955 E. Commerce St., Milford on Friday, December 7, 2018 at 11 AM, with visitation beginning at 10:30 AM. Msgr. John Budde will officiate. Burial and military honors will take place at Great Lakes National Cemetery, Holly on Friday at 1:30 PM. Memorial contributions may be made in his name to the National Parkinson's Foundation, 200 SE 1st Street, Suite 800, Miami, FL 33131 or to Henry Ford Hospital Hospice Fund 380, 1 Ford Place 5A, Detroit, MI 48202. "Email Address" would like to share the life celebration of William Charles Salczynski. Click on the "link" to go to share a favorite memory or leave a condolence message for the family.